Indicate by check mark whether the registrant is a large accelerated filer, accelerated filer, a non-accelerated filer, smaller reporting company, or an emerging growth company. See definitions of "large accelerated filer," "accelerated filer," "smaller reporting company," and "emerging growth company" in Rule 12b-2 of the Exchange Act. This Form 10-Q includes "forward-looking statements" within the meaning of Section 27A of the Securities Act of 1933 and Section 21E of the Securities Exchange Act of 1934, as amended, with respect to our financial condition, results of operations and business and our expectations or beliefs concerning future events. The forward-looking statements include, in particular, statements about our plans, strategies and prospects under the heading "Management's Discussion and Analysis of Financial Condition and Results of Operations." These statements contain words such as “believes,” “expects,” “may,” “will,” “should,” “would,” “could,” “seeks,” “approximately,” “intends,” “plans,” “estimates,” “outlook,” “anticipates” or “looking forward” or similar expressions that relate to our strategy, plans, intentions, or expectations. All statements we make relating to our estimated and projected earnings, margins, costs, expenditures, cash flows, growth rates and financial results or to our expectations regarding future industry trends are forward-looking statements. In addition, we, through our senior management, from time to time make forward-looking public statements concerning our expected future operations and performance and other developments. These forward-looking statements are subject to risks and uncertainties that may change at any time, and, therefore, our actual results may differ materially from those that we expected. We derive many of our forward-looking statements from our operating budgets and forecasts, which are based upon many detailed assumptions. While we believe that our assumptions are reasonable, we caution that it is very difficult to predict the impact of known factors, and it is impossible for us to anticipate all factors that could affect our actual results. All forward-looking statements are based upon information available to us on the date of this Form 10-Q. Readers should carefully review the factors discussed in our most recent Form 10-K in the section titled "Risk Factors" and other risk factors identified from time to time in our periodic filings with the Securities and Exchange Commission. The accompanying unaudited Condensed Consolidated Financial Statements of Berry Global Group, Inc. ("the Company," "we," or "Berry") have been prepared in accordance with accounting principles generally accepted in the United States ("GAAP") pursuant to the rules and regulations of the Securities and Exchange Commission for interim reporting. Accordingly, they do not include all of the information and footnotes required by GAAP for complete financial statements. In preparing financial statements in conformity with GAAP, we must make estimates and assumptions that affect the reported amounts and disclosures at the date of the financial statements and during the reporting period. Actual results could differ from those estimates. Certain reclassifications have been made to prior periods to conform to current reporting. In the opinion of management, all adjustments (consisting of normal recurring adjustments) considered necessary for a fair presentation have been included, and all subsequent events up to the time of the filing have been evaluated. For further information, refer to the Company's most recent Form 10-K filed with the Securities and Exchange Commission. Changes to GAAP are established by the Financial Accounting Standards Board ("FASB") in the form of accounting standards updates to the FASB's Accounting Standards Codification. During fiscal 2019, with the exception of the below, there have been no developments to the recently adopted accounting pronouncements from those disclosed in the Company's 2018 Annual Report on Form 10-K that are considered to have a material impact on our unaudited consolidated financial statements. In May 2014, the FASB issued a final standard on revenue recognition. Under the new standard, an entity should recognize revenue to depict the transfer of promised goods or services to customers in an amount that reflects the consideration to which the entity expects to be entitled in exchange for those goods or services. For public entities, the provisions of the new standard are effective for annual reporting periods beginning after December 15, 2017 and interim periods therein. An entity can apply the new revenue standard on a full retrospective approach to each prior reporting period presented or on a modified retrospective approach with the cumulative effect of initially applying the standard recognized at the date of initial application in retained earnings. The Company adopted the new standard effective for fiscal 2019 using the modified retrospective approach. The adoption of this standard did not have a material impact on the Company's consolidated financial statements. In February 2016, the FASB issued ASU 2016-02, Leases (Topic 842), which increases transparency and comparability among organizations by recognizing lease assets and lease liabilities on the balance sheet and disclosing key information about leasing arrangements. Under the new standard, the lessee of an operating lease will be required to do the following: 1) recognize a right-of-use asset and a lease liability in the statement of financial position, 2) recognize a single lease cost allocated over the lease term generally on a straight-line basis, and 3) classify all cash payments within operating activities on the statement of cash flows. Companies are required to adopt this standard using a modified retrospective transition method. Amendments in this standard are effective for fiscal years beginning after December 15, 2018, including interim periods within those fiscal years. The Company is currently evaluating the impact of this standard, which will be effective for the Company beginning fiscal 2020. Our revenues are primarily derived from the sale of plastic packaging products to customers. Revenue is recognized when performance obligations are satisfied, in an amount reflecting the consideration the Company expects to be entitled. We consider the promise to transfer products to be our sole performance obligation. If the consideration agreed to in a contract includes a variable amount, we estimate the amount of consideration we expect to be entitled to in exchange for transferring the promised goods to the customer using the most likely amount method. Our main sources of variable consideration are customer rebates and cash discounts. There are no material instances where variable consideration is constrained and not recorded at the initial time of sale. Generally our revenue is recognized at a point in time for standard promised goods at the time of shipment, when title and risk of loss pass to the customer. A small number of our contracts are for sales of products which are customer specific and cannot be repurposed. Sales for these products qualify for over time recognition and are immaterial to the Company. Our rebate programs are individually negotiated with customers and contain a variety of different terms and conditions. Certain rebates are calculated as flat percentages of purchases, while others included tiered volume incentives. These rebates may be payable monthly, quarterly, or annually. The calculation of the accrued rebate balance involves management estimates, especially where the terms of the rebate involve tiered volume levels that require estimates of expected annual sales. These provisions are based on estimates derived from current program requirements and historical experience. The accrual for customer rebates was $64 million and $58 million at December 29, 2018 and September 29, 2018, respectively, and is included in Accrued expenses and other current liabilities. Due to the nature of our sales transactions, we have elected the following practical expedients: (i) Shipping and handling costs are treated as fulfillment costs. Accordingly, shipping and handling costs are classified as a component of Cost of goods sold while amounts billed to customers are classified as a component of Net Sales; (ii) We exclude sales and similar taxes that are imposed on our sales and collected from customers; (iii) As our standard payment terms are less than one year, we did not assess whether a contract has a significant financing component. The Company disaggregates revenue based on reportable business segment, geography, and significant product line. Refer to Note 11. Operating Segments for further information. In August 2018, the Company acquired Laddawn, Inc. ("Laddawn") for a purchase price of $242 million, which is preliminary and subject to adjustment. Laddawn is a custom bag and film manufacturer with a unique-to-industry e-commerce sales platform. The acquired business is operated in our Engineered Materials segment. To finance the purchase, the Company used existing liquidity. The acquisition has been accounted for under the purchase method of accounting and accordingly, the purchase price has been allocated to the identifiable assets and liabilities based on preliminary estimates of fair value at the acquisition date. The results of Laddawn have been included in the consolidated results of the Company since the date of the acquisition. The Company has not finalized the allocation of the purchase price to the fair value of the assets acquired and liabilities assumed. The assets acquired and liabilities assumed consisted of working capital of $26 million, property and equipment of $39 million, intangible assets of $98 million, and goodwill of $79 million. The working capital includes a $2 million step up of inventory to fair value. The Company has recognized goodwill on this transaction primarily as a result of expected cost synergies, and expects goodwill to be deductible for tax purposes. In February 2018, the Company acquired Clopay Plastic Products Company, Inc. ("Clopay") for a purchase price of $475 million. Clopay is an innovator in the development of printed breathable films, elastic films, and laminates with product offerings uniquely designed for applications used in a number of markets including: hygiene, healthcare, construction and industrial protective apparel. The acquired business is operated within our Health, Hygiene & Specialties segment. To finance the purchase, the Company issued $500 million aggregate principal amount of 4.5% second priority notes through a private placement offering. The Company has entered into various factoring agreements, both in the U.S. and at a number of foreign subsidiaries, to sell certain receivables to unrelated third-party financial institutions. The Company accounts for these transactions in accordance with ASC 860, "Transfers and Servicing" ("ASC 860"). ASC 860 allows for the ownership transfer of accounts receivable to qualify for sale treatment when the appropriate criteria is met, which permits the Company to present the balances sold under the program to be excluded from Accounts receivable, net on the Consolidated Balance Sheets. Receivables are considered sold when (i) they are transferred beyond the reach of the Company and its creditors, (ii) the purchaser has the right to pledge or exchange the receivables, and (iii) the Company has surrendered control over the transferred receivables. In addition, the Company provides no other forms of continued financial support to the purchaser of the receivables once the receivables are sold. There were no amounts outstanding from financial institutions related to U.S. based programs at December 29, 2018 or September 29, 2018. Gross amounts factored under these U.S. based programs at December 29, 2018 and September 29, 2018 were $212 million and $162 million, respectively. The fees associated with transfer of receivables for all programs were not material for any of the periods presented. The Company was in compliance with all debt covenants for all periods presented. Debt discounts and deferred financing fees are presented net of Long-term debt, less the current portion on the Consolidated Balance Sheets and are amortized to Interest expense through maturity. The term loans with a maturity date of February 2020 and January 2021 bear interest at LIBOR plus 1.75%. The term loans with a maturity date of October 2022 and January 2024 bear interest at LIBOR plus 2.00%. During fiscal 2019, the Company has made $110 million of repayments on long-term borrowings using existing liquidity. In the normal course of business, the Company is exposed to certain risks arising from business operations and economic factors. The Company may use derivative financial instruments to help manage market risk and reduce the exposure to fluctuations in interest rates and foreign currencies. These financial instruments are not used for trading or other speculative purposes. For those derivative instruments that are designated and qualify as hedging instruments, the Company must designate the hedging instrument, based upon the exposure being hedged, as a fair value hedge, cash flow hedge, or a hedge of a net investment in a foreign operation. To the extent hedging relationships are found to be effective, as determined by FASB guidance, changes in the fair value of the derivatives are offset by changes in the fair value of the related hedged item and recorded to Accumulated other comprehensive loss. Any identified ineffectiveness, or changes in the fair value of a derivative not designated as a hedge, is recorded to the Consolidated Statements of Income. The Company is party to certain cross-currency swap agreements with a notional amount of 250 million euro to effectively convert a portion of our fixed-rate U.S. dollar denominated term loans, including the monthly interest payments, to fixed-rate euro-denominated debt. The swap agreements mature in May 2022. The risk management objective is to manage foreign currency risk relating to net investments in certain European subsidiaries denominated in foreign currencies and reduce the variability in the functional currency cash flows of a portion of the Company’s term loans. Changes in fair value of the derivative instruments are recognized in a component of Accumulated other comprehensive loss, to offset the changes in the values of the net investments being hedged. The primary purpose of the Company’s interest rate swap activities is to manage cash flow variability associated with our outstanding variable rate term loan debt. During fiscal 2017 the Company modified various term loan rates and maturities. In conjunction with these modifications the Company realigned existing swap agreements which resulted in the de-designation of the original hedge and re-designation of the modified swaps as effective cash flow hedges. The amounts included in Accumulated other comprehensive loss at the date of de-designation are being amortized to Interest expense through the terms of the original swaps. As of December 29, 2018, the Company effectively had (i) a $450 million interest rate swap transaction that swaps a one-month variable LIBOR contract for a fixed annual rate of 2.000%, with an effective date in May 2017 and expiration in May 2022 and (ii) a $1 billion interest rate swap transaction that swaps a one-month variable LIBOR contract for a fixed annual rate of 2.808% with an effective date in June 2018 and expiration in September 2021. The amortization related to unrealized losses in Accumulated other comprehensive loss is expected to be $9 million in the next 12 months. The Company has certain assets that are measured at fair value on a non-recurring basis when impairment indicators are present or when the Company completes an acquisition. The Company adjusts certain long-lived assets to fair value only when the carrying values exceed the fair values. The categorization of the framework used to value the assets is considered Level 3, due to the subjective nature of the unobservable inputs used to determine the fair value. These assets that are subject to our annual impairment analysis primarily include our definite lived and indefinite lived intangible assets, including Goodwill and our property, plant and equipment. The Company reviews Goodwill and other indefinite lived assets for impairment as of the first day of the fourth fiscal quarter each year and more frequently if impairment indicators exist. The Company determined Goodwill and other indefinite lived assets were not impaired in our annual fiscal 2018 assessment. No impairment indicators were identified in the current quarter. The Company's financial instruments consist primarily of cash and cash equivalents, long-term debt, interest rate and cross-currency swap agreements, and capital lease obligations. The book value of our long-term indebtedness exceeded fair value by $45 million as of December 29, 2018. The Company's long-term debt fair values were determined using Level 2 inputs as other significant observable inputs were not available. In December 2017, the U.S. government enacted comprehensive tax legislation commonly referred to as the Tax Cuts and Jobs Act (the “Tax Act”). The transitional impacts of the Tax Act resulted in a transition benefit of $95 million in the quarterly period ended December 30, 2017. During the Quarter, the Company completed the accounting for the Tax Act, resulting in an immaterial change from fiscal 2018. The effective tax rate was 21% for the quarterly period ended December 29, 2018 and was positively impacted by 2% from the share-based compensation excess tax benefit deduction, 1% from research and development credits, and other discrete items. These favorable items were offset by increases of 4% from U.S. state income taxes and other discrete items. The Company is party to various legal proceedings involving routine claims which are incidental to its business. Although the Company's legal and financial liability with respect to such proceedings cannot be estimated with certainty, management believes that any ultimate liability would not be material to its financial statements. The Company has various purchase commitments for raw materials, supplies, and property and equipment incidental to the ordinary conduct of business. In fiscal 2018, the Company announced a $500 million share repurchase program. Berry may repurchase shares through the open market, privately negotiated transactions, or other programs, subject to market conditions. This authorization has no expiration date and may be suspended at any time. During the quarterly period ended December 29, 2018, the Company repurchased approximately 1,132 thousand shares for $54 million. As of December 29, 2018, $412 million of authorized share repurchases remain available to the Company. Basic net income per share is calculated by dividing the net income attributable to common stockholders by the weighted-average number of common shares outstanding during the period, without consideration for common stock equivalents. Diluted net income per share is calculated by dividing the net income attributable to common stockholders by the weighted-average number of common share equivalents outstanding for the period determined using the treasury-stock method and the if-converted method. For purposes of this calculation, stock options are considered to be common stock equivalents and are only included in the calculation of diluted net income per share when their effect is dilutive. For the three months ended December 29, 2018, 3 million shares were excluded from the diluted net income per share calculation as their effect would be anti-dilutive. 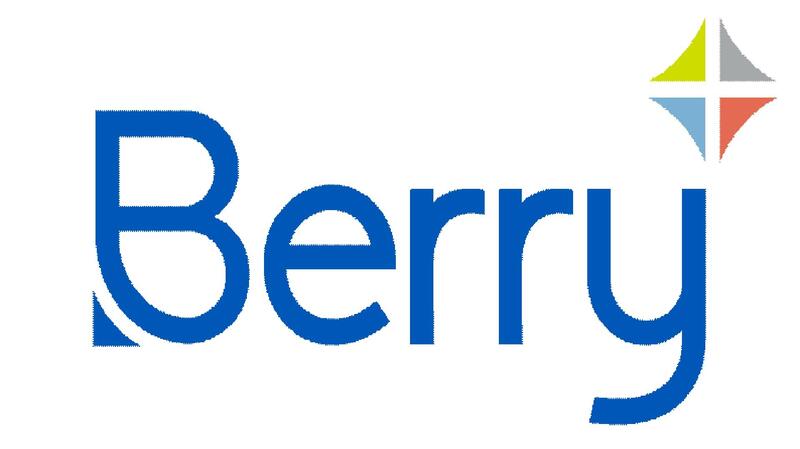 Berry Global, Inc. (“Issuer”) has notes outstanding which are fully, jointly, severally, and unconditionally guaranteed by its parent, Berry Global Group, Inc. (for purposes of this Note, “Parent”) and substantially all of Issuer’s domestic subsidiaries. Separate narrative information or financial statements of the guarantor subsidiaries have not been included because they are 100% owned by Parent and the guarantor subsidiaries unconditionally guarantee such debt on a joint and several basis. A guarantee of a guarantor subsidiary of the securities will terminate upon the following customary circumstances: the sale of the capital stock of such guarantor if such sale complies with the indentures, the designation of such guarantor as an unrestricted subsidiary, the defeasance or discharge of the indenture or in the case of a restricted subsidiary that is required to guarantee after the relevant issuance date, if such guarantor no longer guarantees certain other indebtedness of the issuer. The guarantees of the guarantor subsidiaries are also limited as necessary to prevent them from constituting a fraudulent conveyance under applicable law and any guarantees guaranteeing subordinated debt are subordinated to certain other of the Company’s debts. Parent also guarantees the Issuer’s term loans and revolving credit facilities. The guarantor subsidiaries guarantee our term loans and are co-borrowers under our revolving credit facility. Presented below is condensed consolidating financial information for the Parent, Issuer, guarantor subsidiaries and non-guarantor subsidiaries. The Issuer and guarantor financial information includes all of our domestic operating subsidiaries; our non-guarantor subsidiaries include our foreign subsidiaries, certain immaterial domestic subsidiaries and the unrestricted subsidiaries under the Issuer’s indentures. The Parent uses the equity method to account for its ownership in the Issuer in the Condensed Consolidating Supplemental Financial Statements. The Issuer uses the equity method to account for its ownership in the guarantor and non-guarantor subsidiaries. All consolidating entries are included in the eliminations column along with the elimination of intercompany balances.